The Lightify Plug wireless outlet is the ideal extension of the Lightify Collection. With the plug you can switch the entertainment devices like TV or Hifi systems or standard lights on and off, simply via app. But the plug in conjunction with the free Lightify app can do so much more. For example, how about the aroma of a freshly brewed coffee to be woken up by in the morning that your coffee machine brews up already while you are still asleep? Now the integrated timer in the app makes it possible. 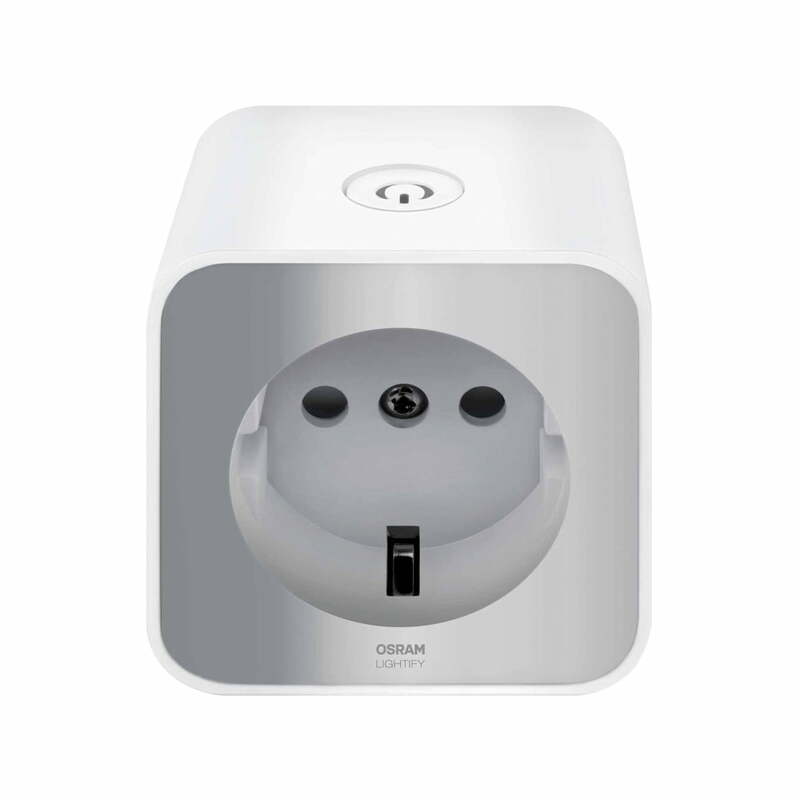 The Lightify Collection from Osram is a mobile revolution on the lighting market. Control your networked LED products of the Lightify Collection such as lamps, luminaires, flexible LED strips or garden lights via a free app on your smartphone or tablet PC. Be inspired by the intelligent and networked LightifyLED light. Discover completely new lighting options and personalise your home. Customize your home, depending on your mood, make an evening with friends an experience, use light to relax or for an optimal work environment. And all of this simply with the help of your smartphone or tablet and the Osram Lightify lamps and luminaires for indoor and outdoor. No matter where you are in the world, you control your lighting even from afar - even by time control. 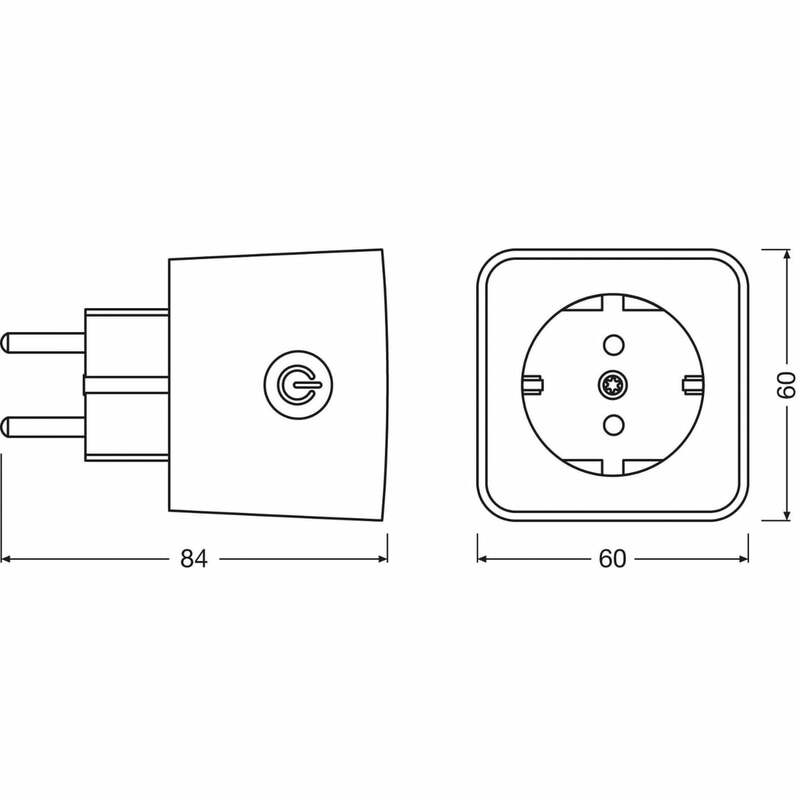 In addition the plug also serves as a so-called repeater to extend the range of a Lightify network. This way, you can bridge a longer distance for example, to the outdoor area. The wireless controlled socket can be operated if necessary also without Lightify app via buttons on the housing. Do you have any further questions or do you need any further details? Feel free to contact us. You will also find further information on the Osram homepage. Do not use the LIGHTIFY Plug in conjunction with medical equipment. Very high capacitive and inductive loads may in some cases lead to destruction of the device or reduction in the number of switching cycles. In a stimulating video in German, Osram explains how the Lightify collection can simplify your life and make it more beautiful. No matter where you are and at what time of the day! The Lightify Plug wireless outlet is the ideal extension of the Lightify Collection. On and off switching of e.g. entertainment devices and lights via app. Also serves as a repeater to extend the range of Lightify. Simply plug in the power socket and connect via Wi-Fi with the app. The wireless controlled socket can be operated if necessary also without Lightify app via buttons on the housing.